This is our SIXTH consecutive EVent at the CCSU campus and it was Connecticut's first site in 2012! 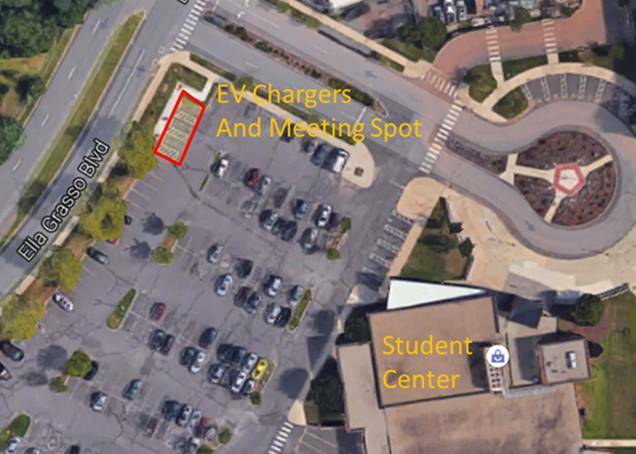 Working with Prof Button of CCSU, we reserved parking spots near the two level 2 chargers behind the student center. 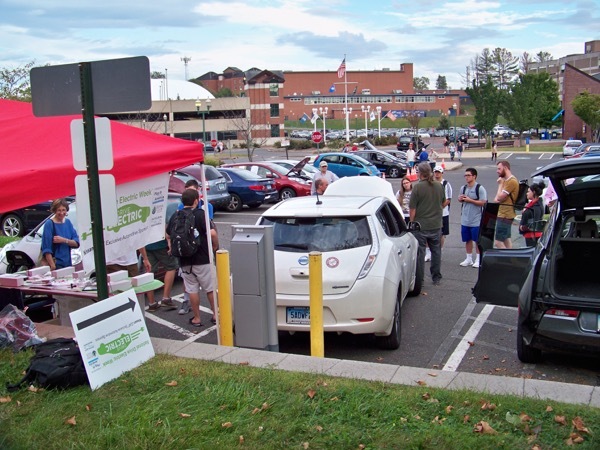 The afternoon of the event, we set up the signs, information table, tent, and then EVs/ PHEVs started arriving! Timing was perfect as some students were finishing classes while others were heading off to class. Lots of inquisitive minds asking good questions about what it's like to own a plug-in. Please note the date has changed for this event. Mark your calendars! 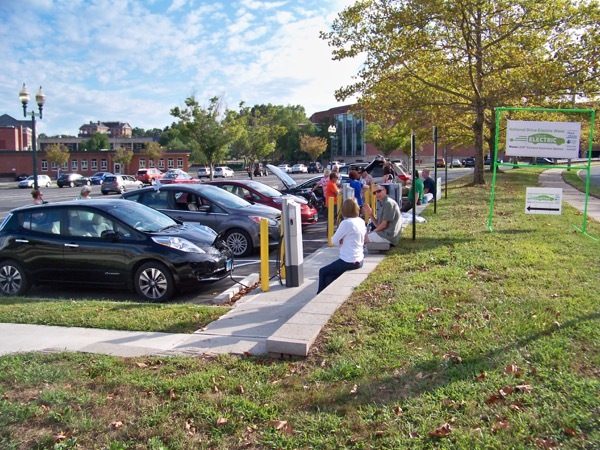 Come join us at the CCSU charging stations (parking lot behind Student Center) on Wednesday, September 13, for our fifth gathering and reunion! 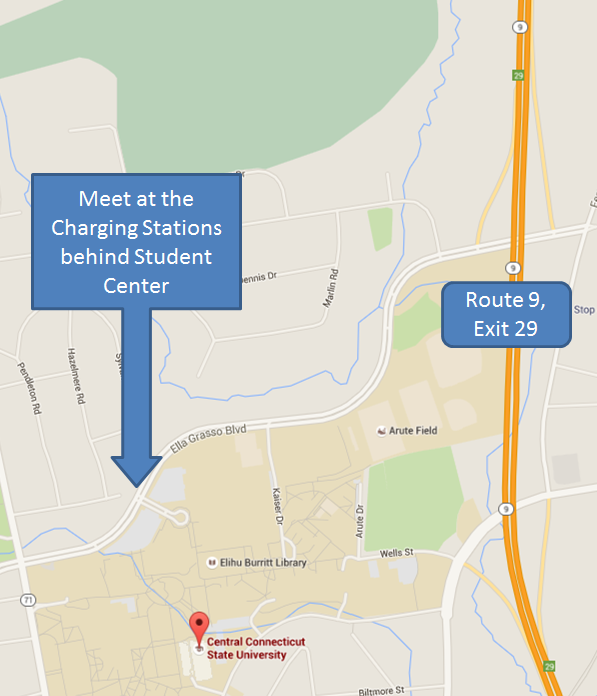 Directions to CCSU; On Route 9 North, take exit 29 and through the light at end of ramp. Drive approx. 1/4 mile and take 2nd traffic light left onto Ella Grasso Blvd. Continue to back entrance to Student Center and Charging Stations and follow signs. On Route 9 South, take exit 29 and right at end of ramp onto Ella Grasso Blvd. Continue to back entrance to Student Center and Charging Stations and follow signs. Two Level 2 chargers, one Level 3 (may be working). NEEAA is involved with other sites across New England. Registered attendees report 342,805 electric miles driven.